Paris is made up of 20 distinct neighborhoods, or arrondissements, which are arranged in a snail-shaped spiral design with the 1st arrondissement and the Louvre Museum at the center. Most visitors to the City of Light are quite familiar with the famous sights that are clustered mainly in the center of the city, but tourists tend to avoid Paris' outlying residential and business districts. The 13th arrondissement, in the southern part of the city not far from the famed Latin Quarter, is worth a visit when you're in Paris. A village within a neighborhood, the hilly Butte aux Caille is a cobblestoned section in the 13th arrondissement with artist studios, galleries, quaint houses, art deco architecture side-by-side with modern high-rises, and busy sidewalk cafes. The area was named a historic monument in 1990. It has a popular 1920s swimming pool complex open to the public, with both an indoor pool and the unique all-year, outdoor "Nordic" pool, where the water is warmed by recovered heat from tech data centers in the area. 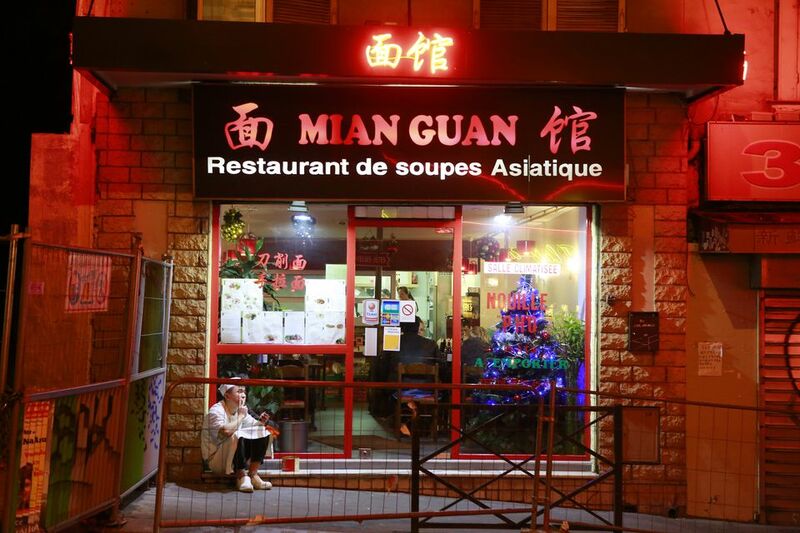 The 13th Arrondissement is also home to Paris' large, mostly Chinese, Cambodian, and Vietnamese community. It is thought by some to be the largest Chinatown in Europe and is the major site for Chinese New Year celebrations in Paris. This is a great place to find many Asian shops and restaurants, especially Vietnamese pho houses. The modern, glass-enclosed Bibliothèque National de France houses more than 15 million books and printed documents, manuscripts, prints, photographs, maps, musical scores, coins, medals, sound documents, and more that preserve the French national heritage. Numerous cultural events, such as special exhibits, lectures, concerts, and meetings take place at the library year-round. This historic workshop complex dates back to the 15th and 16th centuries when it was first used to create natural dyes for wool tapestries. In the 17th century, hundreds of tapestries were created here to furnish the royal houses of France. Today the workshops of the Manufacture Nationale des Gobelins employ 30 staff members and have 15 looms that produce modern tapestries. The complex is open to the public for special exhibitions and tours. Originally built in 1840, the Gare d'Austerlitz is one of Paris' main train stations. Located along the banks of the Seine, the station was named for the famous Napoleon battle fought in the region that is now the Czech Republic. Today, the trains carry passengers to cities in the south of France, as well as to more far-flung places like Barcelona and Madrid. Billed as the world's largest start-up campus, this ambitious complex opened in June 2017 in a huge former railway depot that dates back to the 1920s, now a historic monument. The vast facility was created to provide everything modern entrepreneurs need, including office space, meeting rooms, event spaces, kitchens, and even a restaurant. Access to Station F is 24/7, and housing is planned for 600 tenants in 100 shared apartments.